It's here... the hustle & bustle. 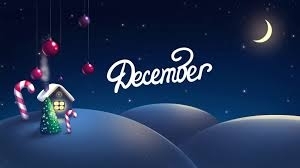 IT'S DECEMBER | A.B.E. Remodeling, INC.
We trust you all had a wonderful and fulfilling Thanksgiving day with family and/or friends. Hopefully you took a few minutes to be thankful, truly thankful for the joys and blessings that come in to your lives. Now here we are in December...the time of year when we do the hustle to get "it all done". We try to find that perfect gift for loved ones, we make cookies a bunch, how about the dinners or luncheons, and the parties. We want to wear our finest outfits for the upcoming events. Really, Can you believe it's December again. It doesn't seem like it was so long ago whne the year turned into 2014. I think it's always a reminder that time goes fast and the years just seem to tick away faster every year. During this hectic month and festivities - take a few minutes to relax and de-stress. Try a hot bath, or a good food soaking. Watch some of the special Christmas movies. Take a drive to see the Christmas lights folks have put up on their homes. Just take in the beauty of the season and not reflect on all the commercialism that seems to take over Christmas time. Plan on going to a Christmas eve church service this year-it may give you a sense of peace so needed...a reflection on the true gift of Christmas. Whatever your plans and lists to do...don't stress. Enjoy each day, Be kind to others, put some change in the collectors bucket. Just get that feeling of Love this time of year (and keep it always in your heart).